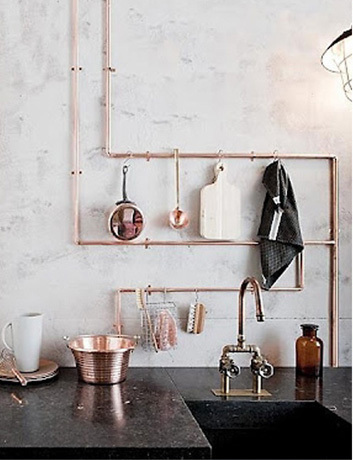 Home › Living Large by Design › Cool ideas for loft spaces—Utilities as art! Over the last decade plus Toronto has seen an explosion of old industrial buildings converted into lofts, as well as new condos that are built with the structure exposed to give that same industrial feel. One of the challenges in these types of loft spaces, though, is what to do with the utilities since there’s often no wall cavities to hide them behind. But rather than create walls just to hide them, why not take advantage of their exposure and set them out in a way that creates visual interest as well as maintains their functionality? GT House by Studio Guilherme Torres. I love how the electrical conduit flows around the space like an architectural moulding. Although not many buildings here use radiators anymore, for those who do use radiant heat in their homes, I love this modular radiator design by industrial designer satyendra pakhalé (for Italian radiator manufacturer tubes). Need an overhead light but there’s no electrical connection for it in the ceiling. No problem! 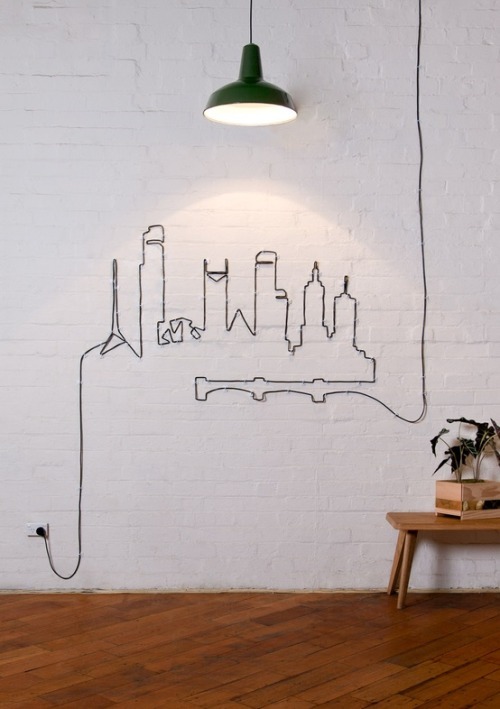 Use the cord to create an artistic path from the wall outlet to the light’s final suspension from the ceiling. ‹ How does Toronto’s real estate market rank against New York’s, London’s, Paris’? So creative. I love the last photo. I might have to do something like this.